This entry was posted in Uncategorized and tagged Ellen Church, Mary Anne Getchell by mountainmullins. Bookmark the permalink. Like Sarah one or two do have the odd wayward fringe that need a little taming! 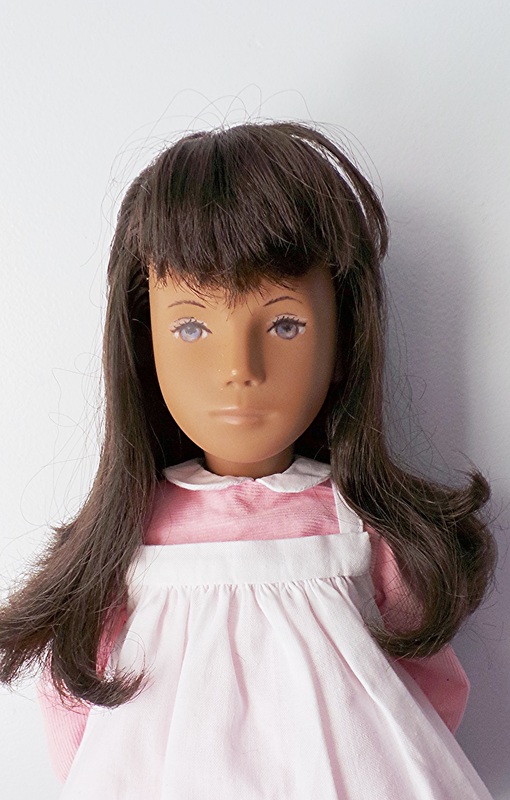 Your Shelly repaint Nancy is very sweet and looks lovely in her Pink Ruth Hartley outfit. 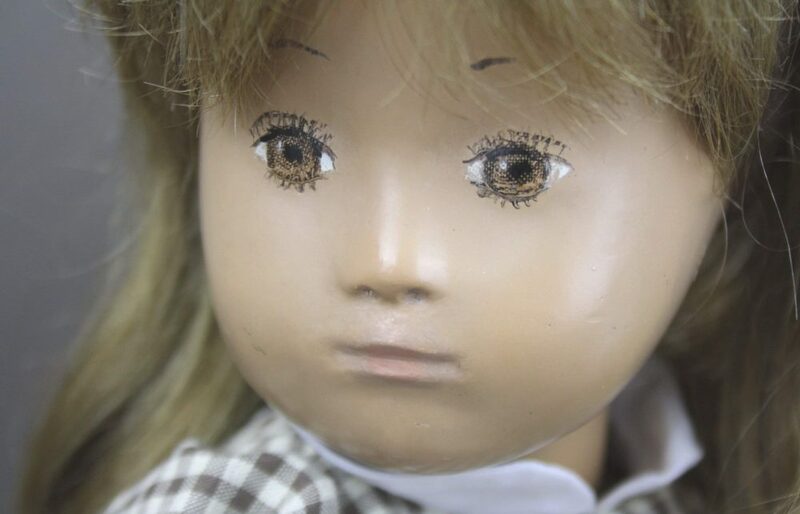 Personally I like BOTH the English and German Sasha dolls alike…..not like some contrary folks whose name we’ll not mention! 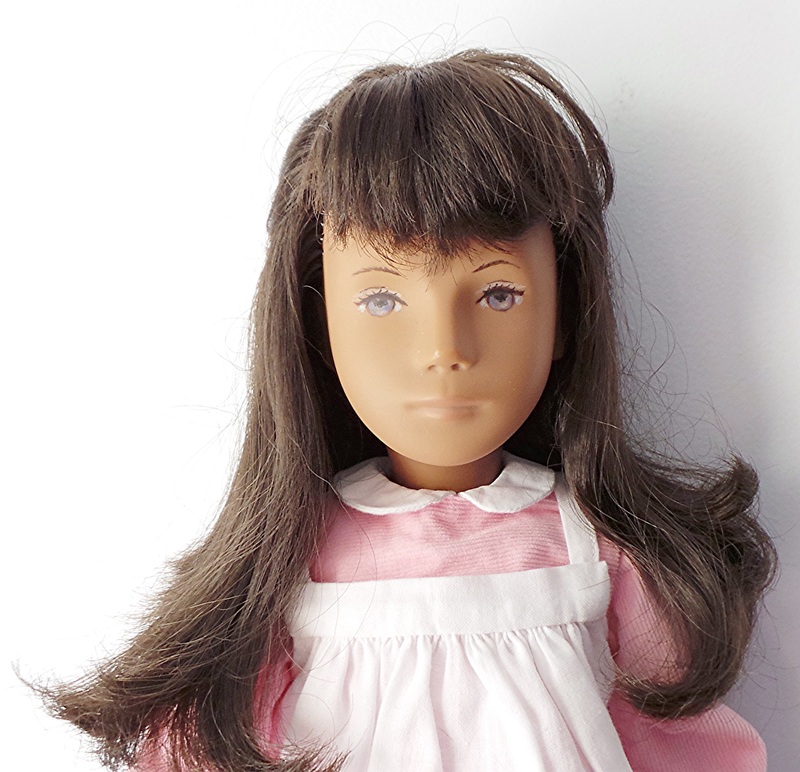 I particularly like Hazel’s hair/eye colour combination and can never really understand why the Frido/tTendon Factory didn’t produce any dolls like this. The only reason that I can think of is the fact that we are known more for our fair hair and blue eyes. I really love the beige jumper and trousers on Hazel as it is the perfect colouring for her. The multi-coloured knits suit Sarah and beautifully enhance her eyes . I well remember Nancy being for sale on Sashadolluk,. 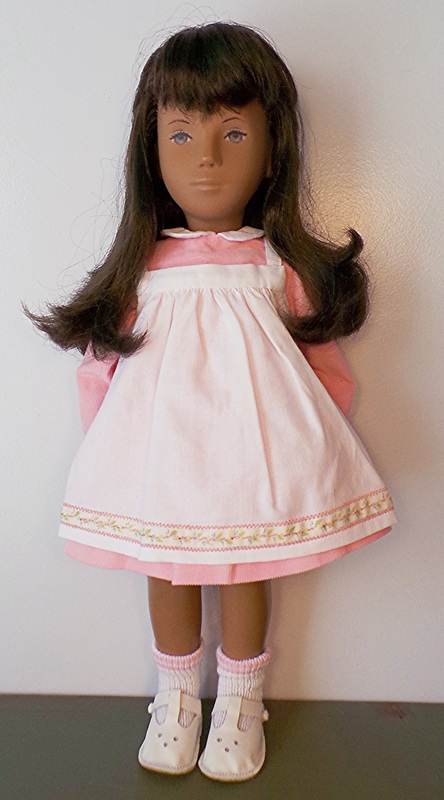 She looks really pretty in her Ruthsdoll’s peach coloured outfit. Hi Kendal and I, having just left your fab Mothering Day post, hope that you are having a great day! Thank you for the lovely comments above about the two no navel girls. I agree that Hazel’s coloring is wonderful and she really looks warm and pretty in the beige colors. The dear Sarah is much better suited for the multi-colored outfits. I just love being hands-on and dressing these girls! I also like your Shelly painted Trendon girl, I love her eyes, Shelly paints such pretty eyes, doesn’t she? I have my one girl who has Shelly eyes and it made such a difference getting them repainted, Shelly just brings them alive!